In Journey into Europe: Islam, Immigration and Identity, Akbar Ahmed scrutinises the experiences of Muslims living in European nations that are facing a challenge to their hegemonic position in a global age. This is no ordinary book project, writes Tahir Abbas, praising the unprecedented wealth of information contained in this gripping, engaging and immersive study. Few scholars have a more detailed grasp of Islam and Muslims than the renowned social anthropologist, Akbar Ahmed. Having worked in the UK for the greater part of his formidable academic career and with a brief spell as the High Commissioner to Pakistan, he has been the Ibn Khaldun Chair of Islamic Studies and Professor of International Relations at the American University in Washington since 2000. With the support of Brookings and a team of intrepid researchers, Ahmed has written a new 573-page tome, Journey into Europe: Islam, Immigration and Identity. In the late 1960s, Ahmed was a social sciences student at the University of Birmingham, having been taught by the late John Rex, a key figure of sociology in Britain. Not my own teacher as such, as he had retired long before, Rex remained active at Warwick University, where I undertook my doctoral studies. I would walk into his office for long chats about local and global affairs as the world embraced a new millennium. John would recall fond stories of Ahmed, who had just published his book Jinnah, Pakistan and Islamic Identity: The Search for Saladin (Routledge, 1997) and scripted and executive-produced the film biography of Jinnah (Jamil Dehaliv, 1998), starring the late Christopher Lee in the lead role. 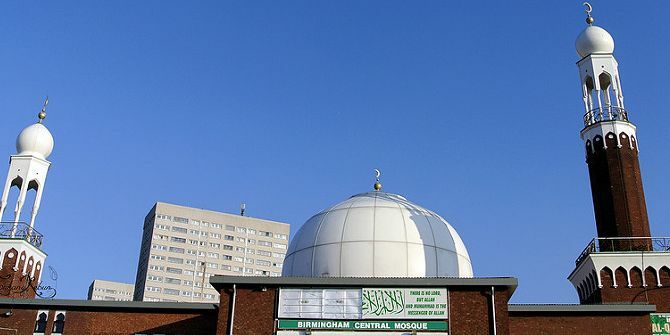 Earlier, in 1993, Living Islam was a four-part series broadcast on the BBC, written and presented by Ahmed. It was the first time that I had seen such a programme on Islam. It unlocked an enormous opening onto a faith tradition that I had only seen in the microcosm of local community settings in the UK and in Pakistan. Max Weber and Ibn Khaldun, both historians, economists and sociologists, are two scholars who have remained extremely important to Ahmed’s scholarship over the years. Weber emphasised the importance of religion in the formation and development of capitalist societies at the end of the nineteenth century, while Ibn Khaldun discussed the rise and fall of civilisations almost 700 years before him. For Weber, the modern nation is the height of civilisation. However, tribalism neither ended with modernity nor with the transformation of rural to urban societies in antiquity. This modernity-transformation conundrum remains in play today: a dialectic that runs throughout Ahmed’s intellectual contributions. These range from understanding tribal societies in the north-west frontier of Pakistan and Afghanistan to exploring the decline of social cohesion, or asabiyah as Ibn Khaldun would put it, as the pretext for the ‘war on terror’ and its effects on human relations worldwide. His latest book, Journey into Europe, surveys themes relating to Muslim minorities in the post-war period who are living in European nation states that are facing challenges to their hegemonic positions in a global age. Journey into Europe is a book in three parts. The first looks at Europe and the tests it faces as different nations come to terms with various aspects of their formation and their futures. Europe is facing its own problems of tribalism, where identity is of central importance. Ahmed considers the importance of pluralism (as unity within diversity) and identity (classifying the differences between primordial and predator identities, with the third being pluralist identity). Questions of memory are important to these notions in a historical context, but also in the present age of populism, racism and economic protectionism. Historically, pluralism gave Europe ‘La Convivencia’, notably exemplified during the Andalusian period more than 1,000 years ago. Christians, Jews and Muslims lived and worked together, maintaining harmonious relations and advancing human civilisation, but now racism and nationalism recreate re-imagined memories of the nation protected by violent conflict. This results in a primordialism that attacks minorities as somehow diluting the very essence of the nation itself. The historical model of pluralism gave Europe the foundations of the Reformation, the Enlightenment and the Renaissance. In today’s milieu, the migration of individuals forced and displaced from their countries of birth through strife and war, a growing intolerance of differences and a fear of Islam as akin to terrorism and violence have led to instability, ‘project fear’ as the norm and the undermining of pluralism as a universal political and cultural model. Islam is no longer the originator of science, intellectualism or worldly knowledge that it once was. Pluralism today, Ahmed argues, therefore must live up to the ideals of a New Andalusia. The second part of the book probes the notion of Islam in Europe. Many contributions to this area of thought necessarily focus on post-war groups and their migration stories in terms of integration, belonging and citizenship at one level, or identity, intergenerational change and multiculturalism at another. Ahmed explores both indigenous Muslims – those who have always been part of Europe – as well as Muslim minorities who have ended up in their ‘mother countries’ in the northern and western parts of Europe: places that until the post-war period were once the colonial overseers of much of the Muslim world for the greater part of three centuries. This section primarily focuses on the trials of being Muslim in Europe, and the anxieties of identity, belonging, becoming, knowing and understanding what it is to be a European Muslim in today’s world. The subjects of immigration, identity and belonging are unconsciously significant for minorities experiencing dislocation – but also for a Europe reconfiguring and re-imagining itself, which forms the essence of Part Three. This investigates these matters in detail, including the enigma of terrorism and Islamophobia and the uncertainties these raise for modernity and postmodernity for both European nations and the Muslim minorities contained within them. Given the immensity of the task, has Ahmed spread himself over too wide a canvas with not enough ink for what is undoubtedly an almighty project? Fortunately, through the diligence of Ahmed’s pen, he manages to avoid the pitfalls that might have flummoxed others. The concise but comprehensive vignettes throughout the book are windows into a world, offering insightful glimpses and making the book readable in short bursts. The interview material is rich and the analysis is meticulous. Ultimately, Ahmed agonises intensely over the plight of Muslims in Europe, for he was once one of them, and he understands only too well the complex challenges facing this body of people, characterised by his own personal experiences from the 1960s onwards, through to his academic scholarship, public intellectualism and his thoughtful commitment to inter-faith dialogue and engagement. Journey into Europe contains tremendously insightful observations with rich and colourful examples, but the dilemma remains as to what needs to alter in a world divided by the very problems identified in this important volume. Tribalism, individualism and ethnocentrism are running amok throughout Europe, with little by way of an alternative provided by those who have the power and means to create the changes necessary to deliver the New Andalusia. Europe remains under threat because the idea of Europe is a challenging notion for those who have retreated into ethnic cleavages defined by a distorted memory of an illusory nation and a fear of the ‘other’ singled out by a global religion reduced to a virulent ‘other’. These doubts are both incontrovertible and profound. Here, Ahmed identifies the need for Muslims in Europe to take charge of their own realm of possibilities within this domain of conflict and containment. There is a roadmap for Muslims, as Ahmed provides his ten steps for change at the end of the book. These include Muslims taking the onus to change themselves for the better, which is fair and correct; however, it is not without certain limitations. There is a clear omission in the roadmap. Perhaps it is deliberate. Without necessarily affecting the political paradigms that mould the current epoch, what are the means to generate a collective struggle to resolve the deeply political riddles that remain unanswered in this book? What are the roles of the majority society and institutions shaped by those who wield power at the very pinnacle of these establishments? These questions require more than introspection and a desire to relive a glorious past. For this, scholars engaged in a critical left-realism present greater penetrative, challenging and defiant diagnoses of the state of affairs afflicting Muslims in Europe today, including the problem of Islamophobia, which is cultural but also structural, affecting state institutions, media and the dominant hegemonic political discourses of a number of ‘old’ and ‘new’ European nations. Journey into Europe is at once an intellectual inquiry, critical commentary, social observation, part-autobiography and case-study-focused, all skillfully interwoven by an expert social anthropologist and storyteller. For this reason, the book will appeal to a diverse audience, from the lay to the specialist, from the seasoned intellectual to the novice apprentice learning about Muslims for the first time beyond the coarse headlines of national dailies and online chatter. It is also important to remember that this is no ordinary book project. It took at least four years to complete, and the range and breadth of the layers of Muslim experiences scrutinised throughout the corners of Europe are unprecedented. For this alone, this book is an important contribution, because it is detailed, informative and often written in a manner that is gripping, engaging and immersive. Few scholars have the capacity to manage all of this – even fewer would have the gall or the strength to attempt it. Tahir Abbas FRSA is currently Visiting Senior Fellow at the LSE Department of Government, and Senior Research Fellow at the Royal United Services Institute in London. His forthcoming book is Beyond Islamophobia, Radicalisation and the Culture of Violence, published by Hurst in 2018. Read more by Tahir Abbas. Note: This article was originally published by the LSE Review of Books blog.